Brannen Lake, as seen from Brannen Lake Estates. This subdivision includes a waterfront park with a large wharf for exclusive use of the residents. Pleasant Valley is bordered by Mostar on the South, Island Hwy on the east, Brannen Lake on the west and Aulds Rd to the North. 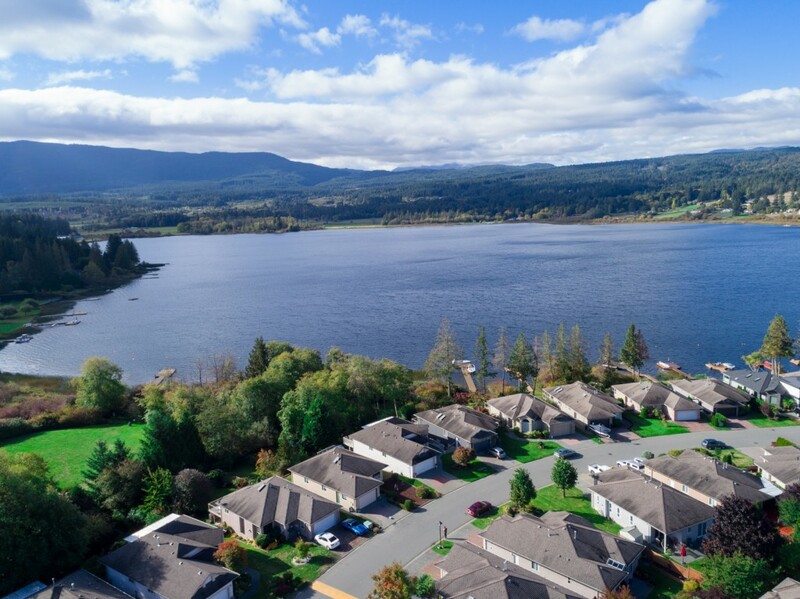 This makes the Pleasant Valley Neighborhood a great location with quick access to all areas of Nanaimo. There is a great lake in the area that allows motor boats, has a public beach and dock as well as its own boat launch. There is also Brannen Lake Campsite which is easily accessible by paved road from the Nanaimo Parkway Exit 24. The Wastelands, home to the Nanaimo Motor Cross Association, hosts a number of events throughout the year including Island Series races, open houses, organized practice days, race schools, clinics and other events. Super Store, Home Depot, RE/MAX of Nanaimo and North Town Centre are all within minutes of this community. Looking for listings in this area? Check out available listing here!